Our volunteer tutors are the heart of our program. Becoming a tutor will enable you to make a profound difference in a person’s life. 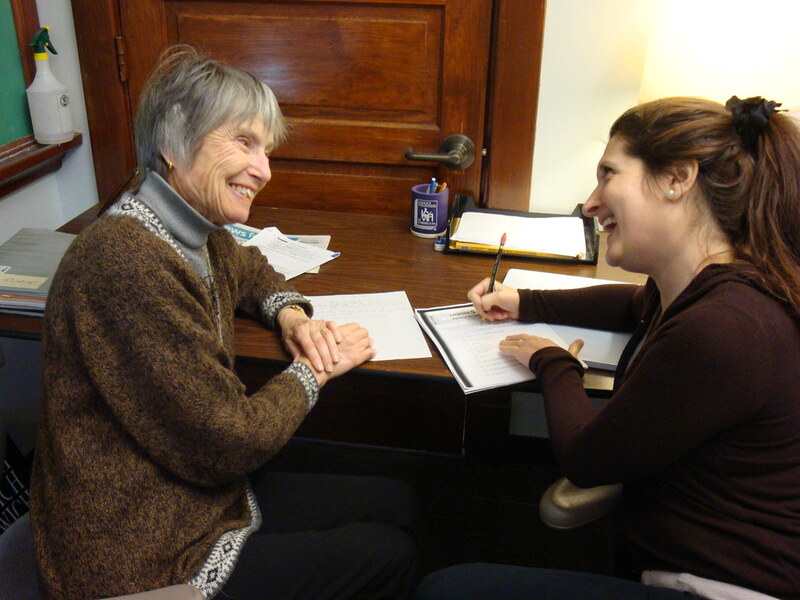 We train you to tutor an adult student in reading, writing, and English acquisition skills. Most of our tutor/student pairs meet for two hours a week at a mutually convenient time and place. We ask for a year-long commitment. As a tutor, you will receive a rewarding experience knowing that you’ve helped someone achieve their goals and be more integrated within our community. Click here to read about qualifications for tutors. To register for a training session call our office at 434-977-3838 or e-mail info@literacyforall.org. Please note that pre-registration is required and classes do fill quickly. Have a question or want some advice about tutoring? Check out our Program Manager, Steven Reid’s advice column, Read Reid! Read what tutors say about their experiences in the program. Check out the new page of resources for teaching Civics!